In partnership with Leeds Libraries, we are delighted to be part of this upcoming family event taking place at Horsforth Library. 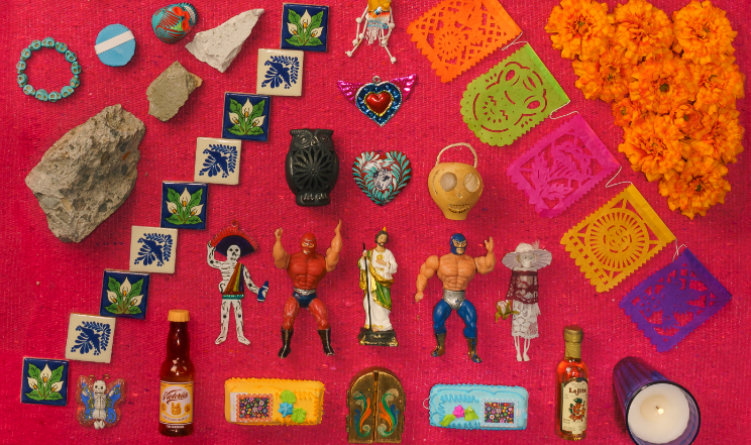 Come along and join artist Ellie Harrison from The Grief Series and make Mexican-themed crafts to take home or add to our Ofrenda, a brightly coloured display built to remember friends, family and people of significance. This workshop is a collaboration between artists in Mexico City at The Faro De Oriente and UK artist Ellie Harrison and The Grief Series, and is in partnership with Leeds Libraries and Leeds Bereavement Forum.